4 Bedroom, 4 Bath, Experience the luxury of your own private tropical oasis by the sea! Steps to the beach with ocean views. Coral Beach is perfectly located only a one-minute walk to the beach with no streets to cross and within easy walking distance to restaurants and shopping. Use the virtual tour to retrieve information (i.e. "Details" provides the home address, "Tools" provides all the features to see the map and neighborhood in Google Earth). You can view the home's large living areas in panorama. Be sure to scroll down and use the virtual tour to see all of the beautiful features this home has to offer. You will find elegant Italian tile flooring throughout the first floor, and hardwood floors upstairs. The downstairs King master suite opens to a lovely private outdoor sitting area with fountain. The first floor twin bedroom converts easily to a king bedroom if desired. The very large second floor king master suite features comfortable sitting area, walk-through closet, and near-panoramic views of surrounding palm trees through windows on three out of four walls. The large family room downstairs has direct access to the pool area and doubles as a king master suite with barn-door closure and Italian hydraulic king wall bed system. The home also offers an American Leather sleeper sofa in the living room. These sofas are rated # 1 for comfort and provide sleepers with a hydraulic mechanism for easy operation. The sleeper provides a very comfortable memory-foam mattress with no bars. We are taking sleepers to another level in our homes! This lovely beach villa is located at the end of a cul de sac in the quiet, affluent neighborhood of Lauderdale Beach. You can catch the water taxi (a 5 minute walk from the home), at the wonderful Shooters restaurant located on the waterway, that will take you as far as Miami and West Palm Beach. The water taxi can also take you to many featured spots, such as Las Olas Blvd. You can see more local attractions by using the virtual tour on our website. There are also several churches and synagogues to choose from in this area. Bikes can also be rented just 2 blocks from the home. The home is professionally designed for a luxurious tropical experience, featuring comfortable new furnishings, plush 600 thread-count bedding, 5 flat screen TVs and WiFi. Enjoy two separate spacious living areas, both overlooking the lush, private courtyard with heated pool, waterfall, hot tub, outdoor shower, dining and lounge areas. The huge family room (convertible to king master suite) boasts dining/game table, 60" flat screen HDTV, surround sound, Blue Ray DVD viewing, wet bar and french doors opening to the sunny pool area with outdoor speakers. Other highlights include the large living room featuring garden view, ample seating and a 46" flat screen HDTV, spacious gourmet custom kitchen, dining area, king master suite, twin bedroom (converts to king) and 3 newly-renovated full tile baths downstairs. Upstairs find the luxurious king master suite with marble bath and a roof top deck with ocean views! 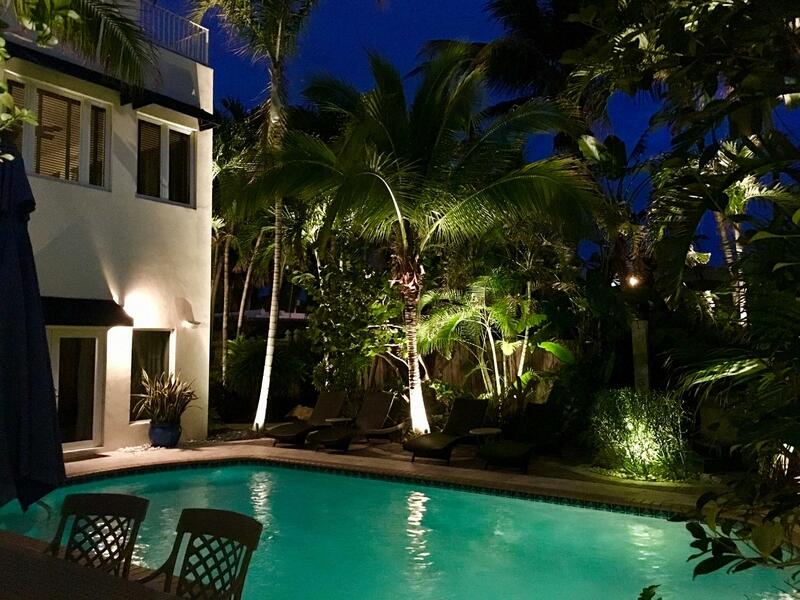 Newly installed LED landscape lighting creates a warm, yet breathtaking nighttime ambiance. The roof deck features teak flooring, custom-designed outdoor shower, triangular sail shades over the sectional sofa, lounge chairs and dining area. Tropical plants, refrigerator and a roof top view of ocean and city skyline make this a great gathering place, day or night. The home is located near the famous Hugh Taylor Birch Park. This park is an oasis of tropical hammocks—a gift from Hugh Taylor Birch to Florida's posterity. His former estate preserves four distinct natural communities, nestled between the Atlantic Ocean and the Intracoastal Waterway. Visitors can rent a canoe and paddle along a mile-long freshwater lagoon or fish from the seawall. Nature lovers can hike along two short trails and learn about local plants and wildlife, while bicyclists and skaters glide along the paved park road. 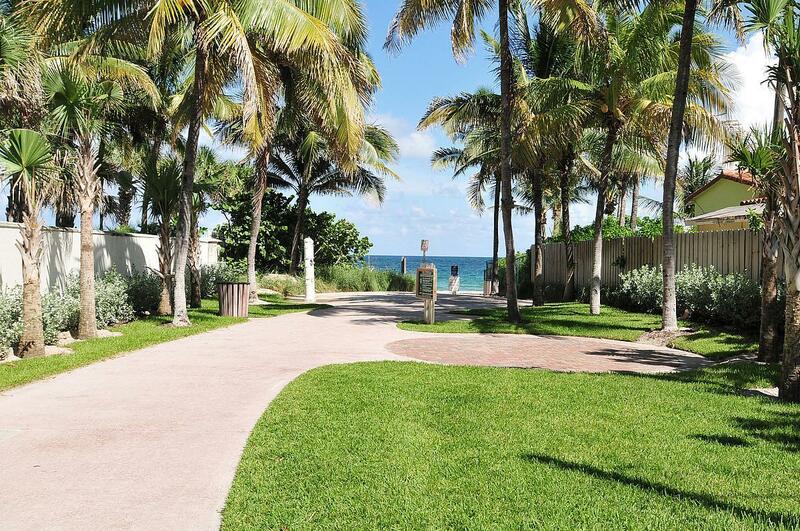 Visitors can access the beach via the pedestrian tunnel under A1A. Picnic areas overlook the channel; pavilions with water and electricity are available for rent. The park is a quick 15 minute drive south from the house. Our stay at Coral Beach was perfect. House so clean you could eat off of the floor and was equipped with everything you could ever need from linens to pots, pans, platters, utensils, etc. The house is huge. We were a family of ten- 5 adults and 5 kids- and we never felt cramped. Backyard is truly resort- style with pool, jacuzzi and grill. We were running late due to a car issue and Vincent was very understanding and patient. This was our first time renting a house and it is now the only way we will vacation. Outstanding from start to finish. Expensive, but everything that was promised was delivered. Hello Howard, I am very happy to hear that you enjoyed your stay. We do what we can to provide a quality experience for our guests. I'm glad Vince was able to provide your special requests. Marketing channel fees can add to the expense of staying in any home. I realize that my home may not be the most economical choice for a smaller family like yours (5 adults, 1 infant). My home sleeps up to 10 people and offers large open living areas and bedrooms. Guests who like yourself, may be traveling internationally could be challenged by the exchange value of the US$. My qualified repeat guests receive a discount towards their return visits to my home or any other home that I can offer. As you can see, our home is priced accordingly for the number of people we can sleep, and the space we offer to guests to entertain in a resort like setting. It appears that you appreciated the location and the high standard in which my home is presented, and maintained. Thank you for being our guests! Simply stated! You are most welcome! We hope to have you as our guest again! Coral Beach- the place to be! Just came home from our 4th stay at Coral Beach and still it fulfills our expectations and they are high! There are two things that especially stand out at Coral Beach. First thing being the great location close to the beach with no hassle in parking and having all facilities close by in your home. Second the property is well kept and administered by Styleandvacation. You should not expect any problems! What an incredible vacation home! Home is beautifully decorated. Master and 1st Guest bedroom are very spacious with large sitting areas for family or friends to gather and have fun. Bedrooms 3&4 are also good size and located so you can be away from action for quiet and sleep. Open Family room, kitchen and dining room make for a great gathering and community area. Home is incredibly stocked with cooking utensils, plates, glasses just like being at your own home except you are steps from the beautiful Ft. Lauderdale beaches. Pool, hot tub all in great shape and working great! 3rd floor roof top sun deck was large with great outdoor furniture. Location of home is Outstanding! Steps to beach. Walking distance to great Restaraunt and shops. Style Vacation Homes is GREAT! Extremely accommodating and treated us like part of their family with a specially decorated Christmas Tree and Gingerbread House to make our 2018 Florida Christmas a true memory. Everything was clean and organized and as described. Paul, We are pleased to hear that you found the home clean, organized and as described! The well stocked, newly remodeled kitchen compliments the tropical oasis in the backyard with private pool and hot tub! Steps from the beach and within a short walk to restaurants and shopping makes this home a great get away location! Steps from the beach. Great pool and Hot tub. Vincent had everything ready and explained how everything works upon our arrival. Less crowded area on the beach. Close to restaurants and other retail outlets. This house is even more beautiful than the pictures and they have thought of EVERYTHING a person could need. Plenty of basic supplies to get you through your stay, unlike a lot of rentals we've used in the past. The pool and outdoor area is a gorgeous as the inside and well maintained. They have extras of everything - plenty of beach and bath towels, optional covers for the couches to protect them from messy little fingers if you have kiddos with you, beach toys, a stroller, step stools, etc. Really if thought "I wonder if they have...?" The answer was YES! The beach is a very short walk, and was nice once you got there, but there were some "interesting" characters at times since there's a public shower at the front. It wasn't a big problem, but nobody from our party went alone, just in case. The internet connection wasn't fantastic, so if you plan to use it for work, that might be an issue. Everything else was perfect, above expectations. The property manager, Vince, was great! The house we stayed in was great! It was clean and very comfortable. 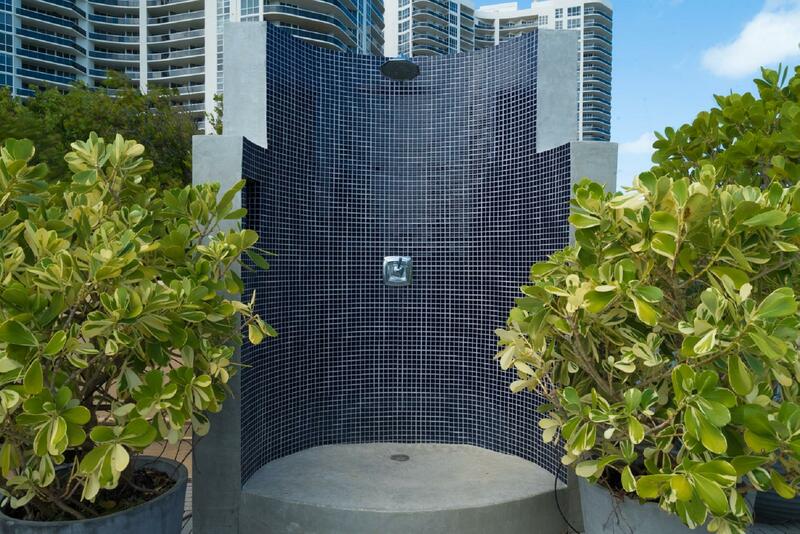 I would recommend this house to anyone staying in the Fort Lauderdale area. Vincent was of great help and had a lot of information about the surrounding area. Cindy from Style Vacation Homes is my hero. She got us in for a early check-in which saved us from wandering around with are luggage for 5 hours. Cindy went above and beyond to help us get into the house early. Thank you so much Cindy!!!!! Already counting the days down till we can come back! Thank you for taking the time to leave your review! We all strive to make your stay a five star experience AND we appreciate you calling our Vince and Cindy's efforts to go above and beyond! The brand new kitchen cabinets are fully stocked and give our home an even more luxurious ambiance! 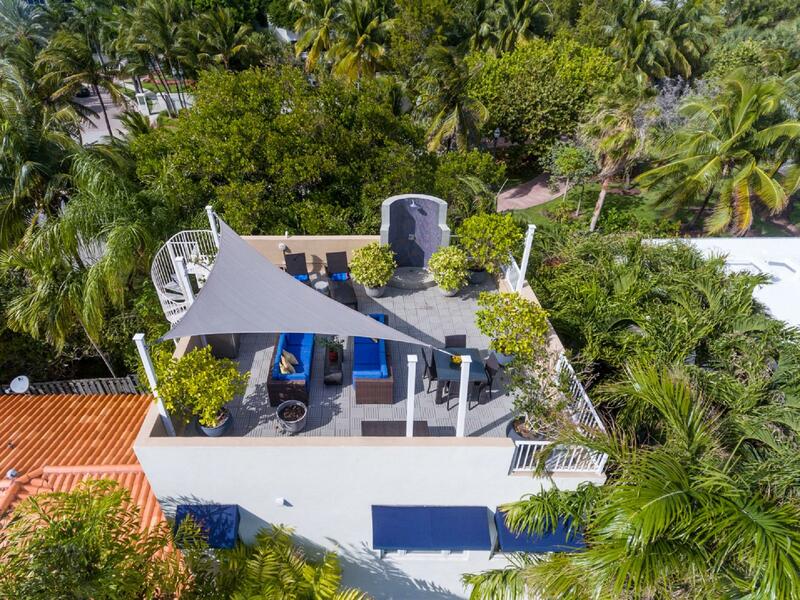 The private backyard pool and hot tub as well as the roof top deck create a tropical oasis a block from the beach providing an impeccably zen beach experience! Send Cindy an E Mail or give her a call and she will get your next dates reserved! The house is amazing, have all that you need and more. We appreciate that you took the time to leave your thoughts about your stay. The home is less than a block from the beach and the rooftop deck offers amazing ocean views so you can relax at the beach or in the home! 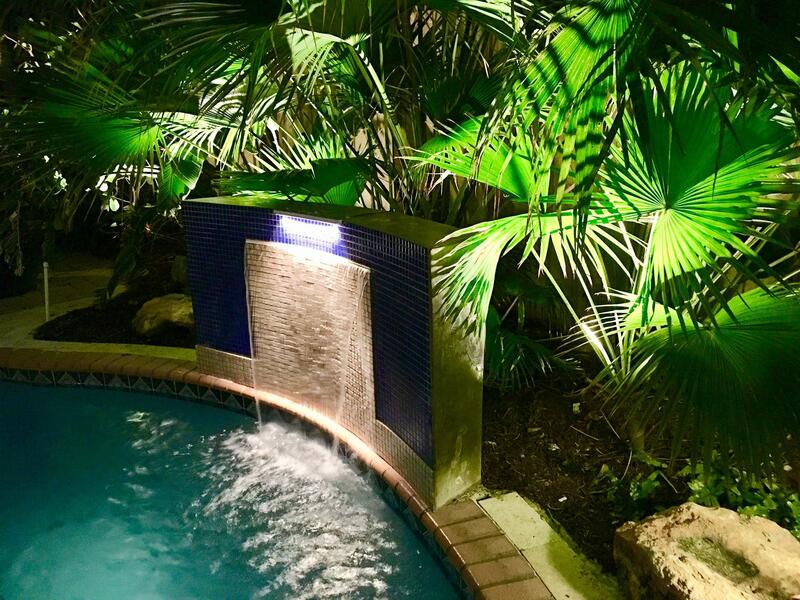 The private pool and hot tub are surrounded by lush landscaping providing a tropical get away feeling even when you are in the backyard! We stock the home with everything you could need and more as you noted and the home is only a short walk to restaurants and shopping. We hope you will choose to stay with us again in your future travels. This property exceeded the pictures and our expectations! Beautifully maintained, plenty of space, and the most comfortable beds we have ever slept in! The pool is perfect, and it's just a few steps to the beach. Many everyday amenities were already at the house (toilet paper, garbage bags, paper towels, coffee filters, spices, shampoo, soap, etc.) We will be back! We had such a wonderful time celebrating our 50th anniversary with our kids in this beautiful home We had a few minor issues that were resolved quite quickly! Great location by the beach! House was very clean and spacious. Really enjoyed hanging out by the pool as well. Would definitely stay there again. Everything was perfect from start to finish. The process was very easy. We were greeted by Tim and he was so helpful and showed us everything we needed to know. We were so excited that the house looked even better in person than the pictures. The house is 300 steps from the beach, the pool was amazing and everyone was so comfortable in their beds!! We cooked in the kitchen and there was everything we needed. We can't wait to go back. Thank you so much for welcoming us into your beautiful home. Perfect location, house and experience. Vince checked us in and had the house in perfect condition when we arrived. Walking distance to a quiet beach and plenty of restaurants. Everything was perfect. Highly recommend. Thank you for you taking the time to leave a review. We strive to make your stay a five star experience. We are happy to hear that the location, the beach and local restaurants were just what you were looking for! We hope to have you as our guest in your future travels! Everything about this experience was FABULOUS!! Starting with booking with style vacation homes ( Cindy & Louis were fantastic to work with) all thru the day of departure. 7 professional women. We travel for a Girls Trip every year. This is by far the best home we've ever rented. We love to cook and having the seasonings in the cabinet was a plus. There was plenty of space to mill around to not be on top of one another. The pictures are extremely accurate. The hot tub was a relaxing time as we understand we were there during the wind season, so the little chill at night would come and we would jump in the hot tub. We would walk to the beach and all of the beach amenities are already in the garage. We didn't have to pick up anything. The Bose speakers came in handy as we would laugh away at each other's playlist. The kitchen was well stocked and the linens were super comfortable. I've been renting for over 15 years and this was the BEST experience I've had so far. I spoke with the owner Louis Shaw himself after the visit and we talked about my visit in detail. I've been renting for over 15 years and this was the BEST experience I've had so far!! Fantastic House for Family Spring Break! This was the perfect house for our spring break getaway. We were two families - 2 couples, 3 teen boys and one pre-teen girl. The space for all of us was great. The boys took over the family room space, adults each got a master bedroom (though we got lucky because we got the upstairs one which is an amazing room!) and then we all enjoyed the kitchen, living room and outdoor areas. The pool and hot tub are private, well-maintained (the service came twice for routine cleaning in just the 6 days were we’re there) and have plenty of surrounding space for eating and relaxing. The rooftop deck is an awesome place to have some wine and watch the sunset! 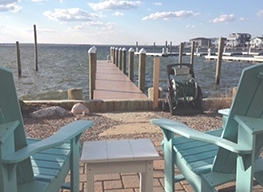 The house is extremely well-stocked with more kitchen and dining items than you will ever need as well as beach chairs, towels and linens and 2 sets of washers and dryers. Finally, the owner isn’t kidding about proximity to the beach. It’s a super short walk along a nearby path. We can’t wait to reserve this house again!! Absolutely fantastic home with access to the beach, private pool and facilities. The attention to detail in our reception, the outstanding views from the rooftop deck, the professionally decorated and appointed furnishings are second to none. Truly a lifestyles of the rich and famous experience. Caviar wishes and champagne dreams abound. Coral beach has an excellent location for families with children that likes to go to the beach or hang out in a spectacular garden with a lovely pool. The house has everything one could ask for and is well maintained by the property manager. Will be back! My Family and I LOVED the home and the surrounding area. The home was decorated beautifully and made our welcoming and pleasant. The backyard was great for grilling and swimming after a long day at the beach! Thank you!